With your engagement and wedding dates finalized, you must be super happy. Well, on this special occasion, you would want everything to be perfect – right from the rings to the costume, from other jewelleries to accessories and so on. Making the shopping list is the first thing to do on your to-do list. And which item will be placed first in the list? Undoubtedly, it is the engagement and the wedding ring. Gone are the days when people would buy two separate rings for the occasions. Now people purchase bridal set rings – a set of the engagement ring and the wedding ring together. These rings stand for the unending love, commitment and bond that two people share. Available in different styles and designs, bridal sets are becoming a popular choice with majority of people. While buying a bridal set, you will get the provision of choosing the shape of the stone which is used in the engagement ring. Diamond is the most preferred stone for engagement rings and round shaped diamond is the most common choice of people. This shape provides the maximum luster and looks bright and beautiful. If you want sleek and contemporary feel in the engagement ring pear shaped diamonds or square princess cuts are highly preferred. For a vintage look, rectangular emerald cut diamonds is perfect. This is one of the most important things to consider while buying a bridal set. Since these sets are custom made generally, it is recommended to get the size perfect at the beginning so that there is no hassle of resizing later. Usually these rings have intricate works and it might get hampered in the resizing process. Do not use rulers or strings for finger width measurement. Instead use a tool like ring sizer or get the finger measured at the jeweler for the perfect fit. If you are purchasing the engagement ring and the wedding ring separately, you have to be very careful so that they don’t look out of place with one another. With bridal sets there are no such problems as the rings are made in such a manner that they sit snugly with one another. Just check the final finishing of the rings and see that they fit perfectly and look like one ring only. The weight of diamonds in carat will be more in bridal set rings when compared to buying two rings separately. But at the same time you will need to pay less for the set as the making charge is lesser when compared to making two separate and individual rings. 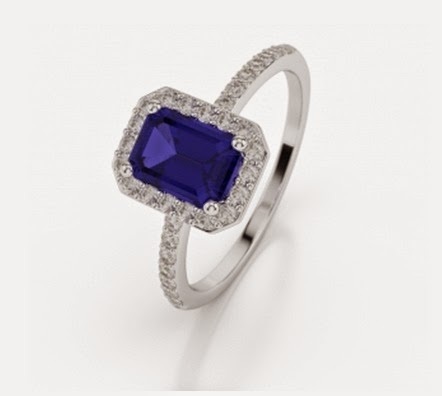 Along with deciding on the main stone on the engagement ring, you can also decide on the side stones which are there on the wedding band and the engagement ring. Choose the numbers of diamonds depending on your style and budget. In bridal sets, there is no scope to compromise with the quality of the items as same quality metal and diamonds are used in both the rings. Also since the bridal set is based on one design, the making charge is taken for one design only. This implies more savings for the jewellery. Look for the right store and get your bridal set rings right away!